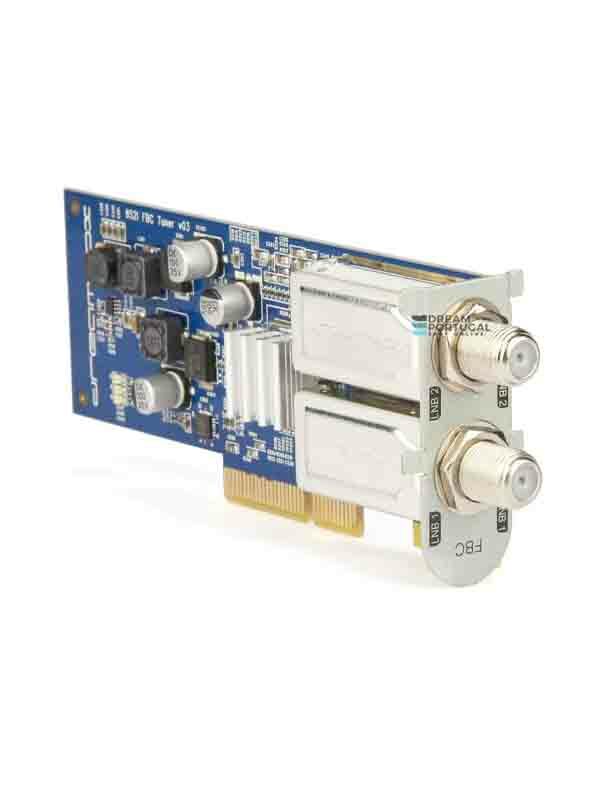 Dreambox DVB-S2X Multistream FBC Twin Tuner - Buy at dreamportugal.pt! The new DVB-S2X Multistream FBC dual tuner for digital satellite television and radio with 8 demodulators, suitable for the DM900 & DM920. Compact size, low heat generation and low energy consumption: This distinguishes the new twin FBC tuner (8 demodulators) for Dreamboxes with Enigma2. Equipped with state-of-the-art technology from semiconductor expert Broadcom, the new Twin Tuner extends the reception options of the Dreambox. The FBC Twin Tuner with its 8 demodulators gives the possibilities to watch and record simultaneous more channels than ever. The signal applied to the inputs is passed internally to the 8 demodulators installed. With the brand-new Dreambox DVB-S2S Multistream FBC Dual Tuner, you can upgrade your Dreambox DM900/DM920 to a Multi-Tuner Receiver.